Apples, available year-round, are especially crisp and flavorful when the newly harvested fall crop hits the market. There’s nothing finer than the sound of biting into a perfectly crisp apple, whether it’s plain or an apple coated in caramel and nuts. Ranging in flavor from sweet to tart, locally grown U.S. apples are at their peak from September through November. There are over 100 varieties grown in the US, and every single state has orchards, so an apple-picking outing is usually within reach. Once you have your apples in hand, we’ve got great apple recipes for you to choose from. If baking is in your plan, we’ve got basic baking tips that will help you with any apple recipe you choose. No surprise, most people want to start with pie. Our how to bake an apple pie page will help even the most novice baker achieve a great apple pie. If your success gives you more confidence, move on to other pie recipes. For a quick and easy classic, try a caramel-coated apple. We’ve got a how to make a caramel apple video that explains it all in 3 easy steps. So pick some apples off a tree at an orchard or from a bushel at your local market and add a touch of autumn to your salads, snacks, sandwiches, main dishes and desserts. Apples will keep in a cool, dry place for up to 1 week. For longer storage, refrigerate in a plastic bag for 4 to 6 weeks. Select types of apples based on how they will be used: raw (for eating out of hand and adding to salads); cooked (for applesauce, pies and other desserts); or baked whole. All-purpose apples can be used for both eating raw and cooking. Varieties include: Braeburn, Cortland, Fuji, Gala, Golden Delicious, Granny Smith, Jonathan and McIntosh. 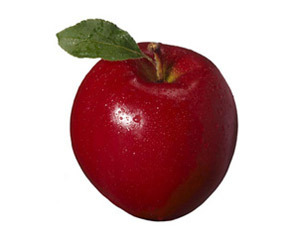 Red Delicious apples are strictly for eating raw and Rome Beauty apples are best for baking whole. Wash apples just before using. They may be eaten peeled or unpeeled. To core apples, quarter them lengthwise and use a paring knife to carefully remove the seeds and core. Prevent cut apples from turning brown by dipping them in a small amount of lemon or other citrus juice. If adding apples to a salad, the acid in the salad dressing also prevents them from browning. When baking whole apples, remove a 1/2-inch-wide horizontal strip of peel from around the center of each apple. This prevents the skin from cracking by allowing the steam to escape during baking. If stuffing the baked apple, remove the core with an apple corer. Toss unpeeled apple chunks along with some PLANTERS Pecans or Walnuts into a green salad and top with your favorite KRAFT Salad Dressing. Add thin slices of apple to sandwiches-such as OSCAR MAYER Ham or Turkey with your favorite KRAFT Cheese-for added flavor and crunch. Cooked apples taste great in savory dishes with chicken, pork, cabbage, onions and potatoes. Liven up your favorite coleslaw recipe by folding in crisp, chopped apples. Top crackers with thin apple wedges after spreading them with peanut butter or PHILADELPHIA Cream Cheese.